Want to keep up with all my shenanigans across the board on this wild adventure of life? Todd Giannattasio is a veteran marketing expert who has been featured by Entrepreneur, Forbes, and Huffington Post for his proven systems to grow brands, generate leads, and increase sales in our constantly evolving, digital world. His combination of fundamental principals and modern marketing strategies are what create a force multiplier for clients. He is certified in sales and marketing from DigitalMarketer.com, Hubspot, and the Jordan Belfort Straight Line Sales and Persuasion System. 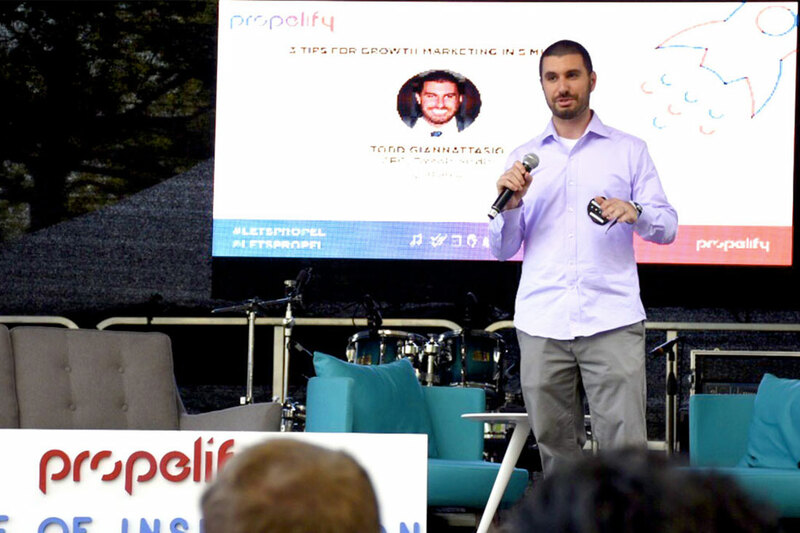 He has been a featured speaker at the Propelify Innovation Festival the last two years, presenting to a combined audience of 18,000 attendees. Todd has been working in digital communications and marketing since 2003. Over that time, he's worked with some of the biggest companies in the world from Universal Records to BASF, and with growing startups and small businesses. He is currently the founder of The Growth Suite and Tresnic Media. Helping entrepreneurs establish and grow their business online through training, templates, tools, and coaching programs. Empowering innovators, entrepreneurs, and technologists with the tools, knowledge, and people to turn ideas into action. Increasing branding and sales for small businesses by implementing proven systems that turn strangers into customers. Trying to make the craziness of parenthood a little easier. Making the world a nicer place, one random act of kindness at a time. Typically short form blog posts or videos on entrepreneurship, sales and marketing, or life in general as a 30 something entrepreneur, husband, and dad. Honestly, I don't send out a lot of emails from my personal brand, but if you're into getting random stuff once in a while, sign up below. Otherwise check out the brands above that I'm actively working on for more consistent content.